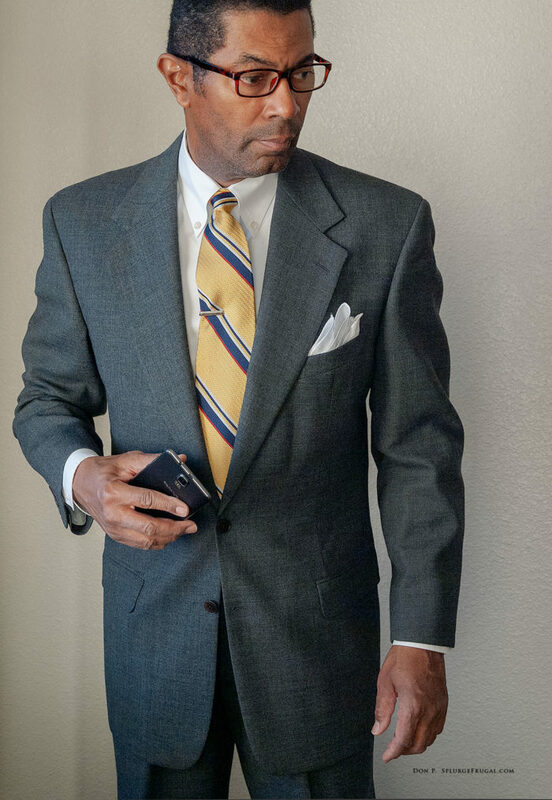 Let me start by saying that I am not a fan of the modern slim fit suit fad. At its worst, it becomes the male equivalent of the plunging neckline. It gets attention, but for all the wrong reasons. 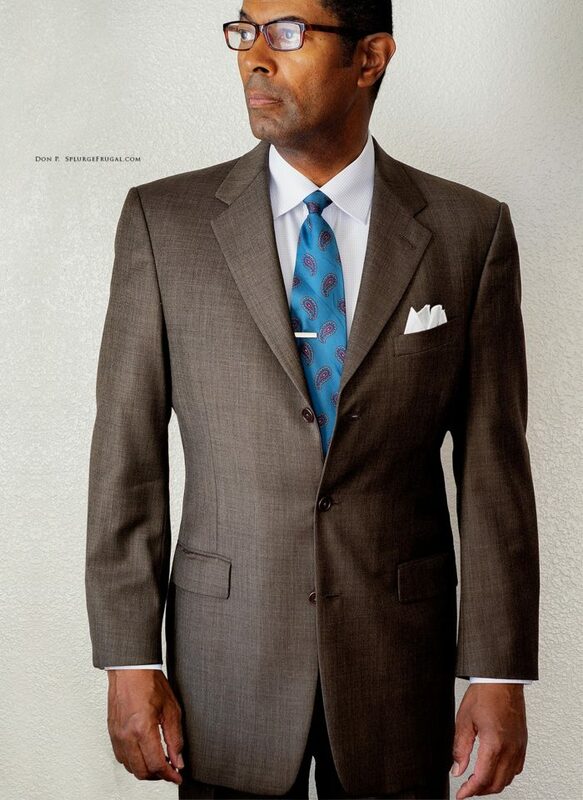 The suit, in its modern form, is the uniform of power, business, and life’s most meaningful occasions. 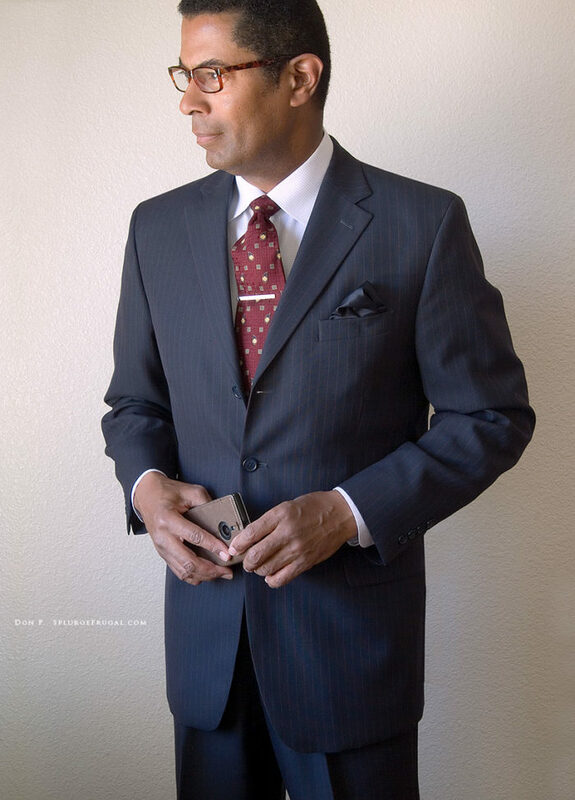 We instinctively attach certain noble virtues to the man wearing a suit such as professionalism, authority, and so on. Its appeal is a soft-spoken blend of timeless fabric and silhouette. 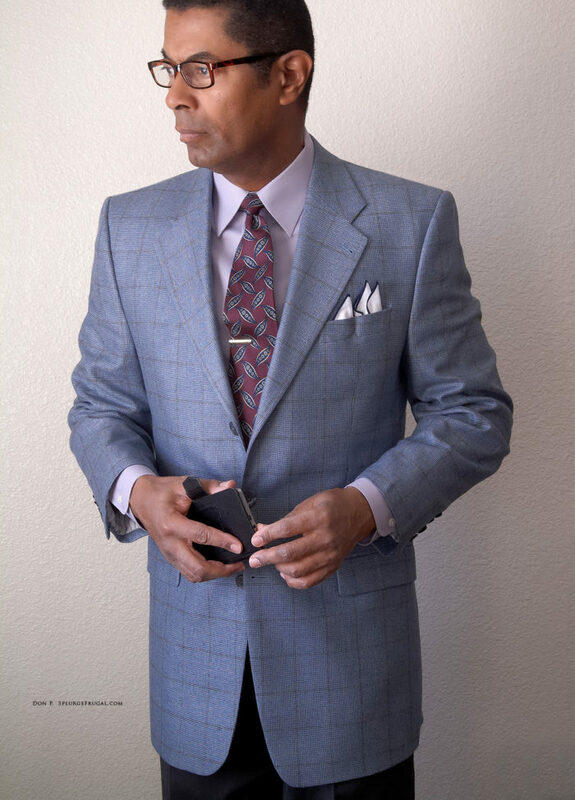 What is more, a well-tailored suit is very forgiving. It can make all men, regardless of shape or age, look their best. However, in its worst iterations, the modern slim fit (or skinny) suit turns all of that on its head. It can look faddish and downright seamy. It squeezes and accentuates every male bump and curve, for better or for worse, like a swimmer’s speedo. It takes away the gravitas that a suit should convey and replaces it with an immature cry for attention. 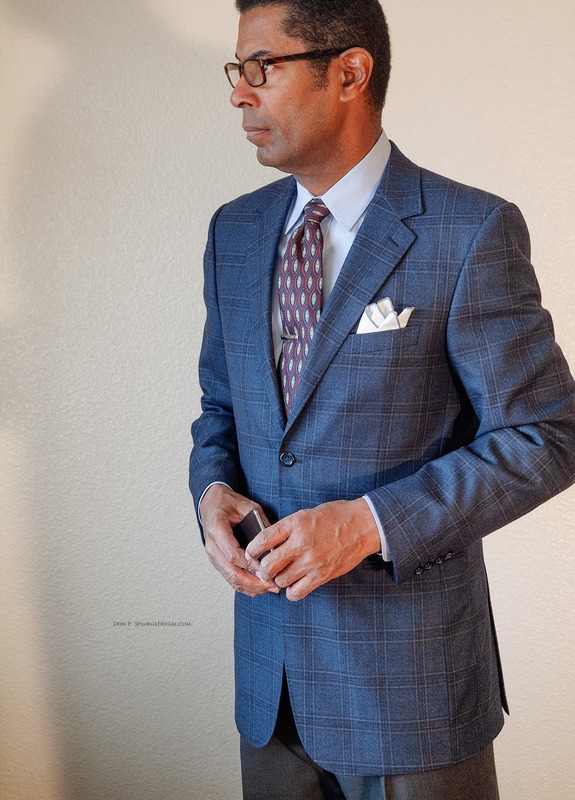 A Tragic Slim Fit Suit – Don’t Be That Guy! 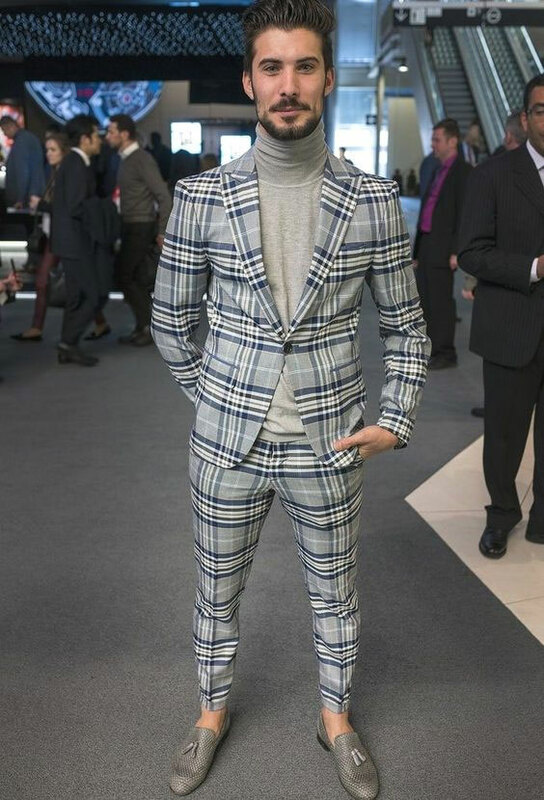 Yet, this is the suit that everyone is selling now, from mass-market Jos. A. Bank to upscale Ermenegildo Zegna. The question is, how should a slim-fit suit fit? 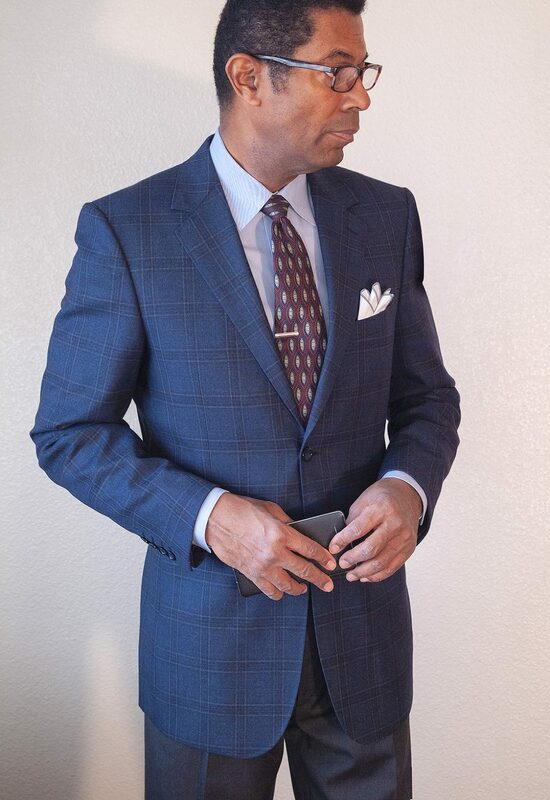 Here are three things you should keep in mind when choosing a slim fit suit so that it retains the dignity and decorum you wear a suit for in the first place. First, the jacket should fully cover the lower torso. 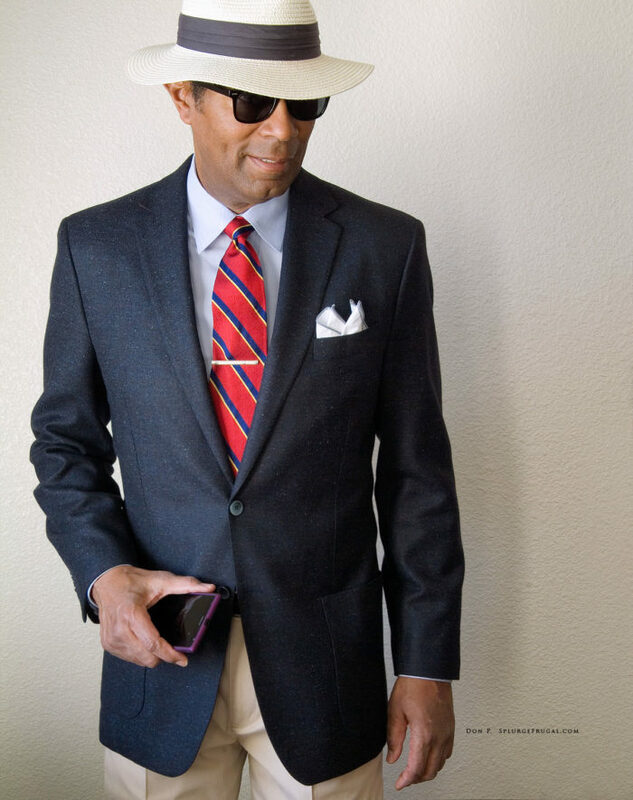 If the seat of your pants or your belt buckle can be seen when the jacket is buttoned, it is too short. Second, be sure that there are no telltale stretch marks or creases around the waist when the jacket is buttoned. This indicates that the jacket is too tight. 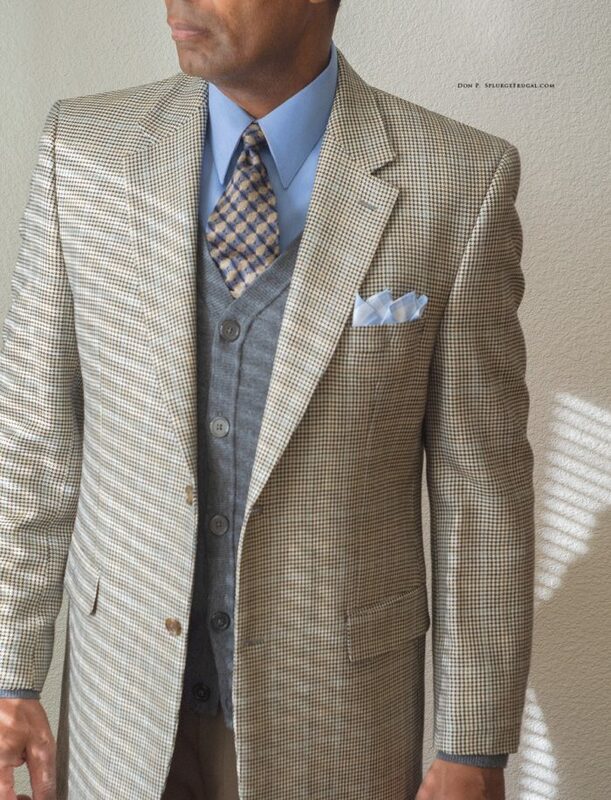 The jacket should drape smoothly even when buttoned. Finally, give yourself some room in the pants. If stooping down to pick up a coin on the floor stretches every pants seam to the limit, they’re too tight. If you pants legs bunch up along the leg instead of draping smoothly, you need more room.